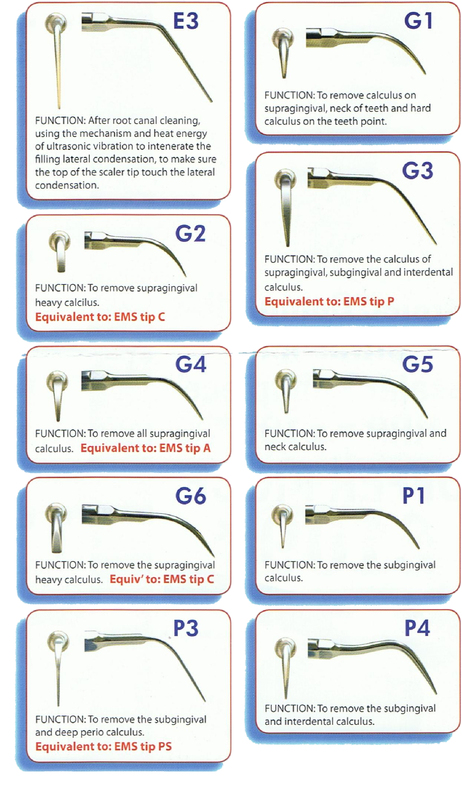 Generic EMS and Satelec Compatible Scaler Tips, suitable for most types of dental scaler unit. Generic scaling tips are the equivalent to original manufactures tips at a portion of the price. Should you require assistance in identifying thread type or pattern please refer to the product datasheet and manual provided below or call 0844 8700109. The price for this product is available on request. Call 0844 870 0109 for latest pricing. The following documents offer more information about the Perio Scaler Tips. Please download a copy for your reference.